How does one write beyond words? 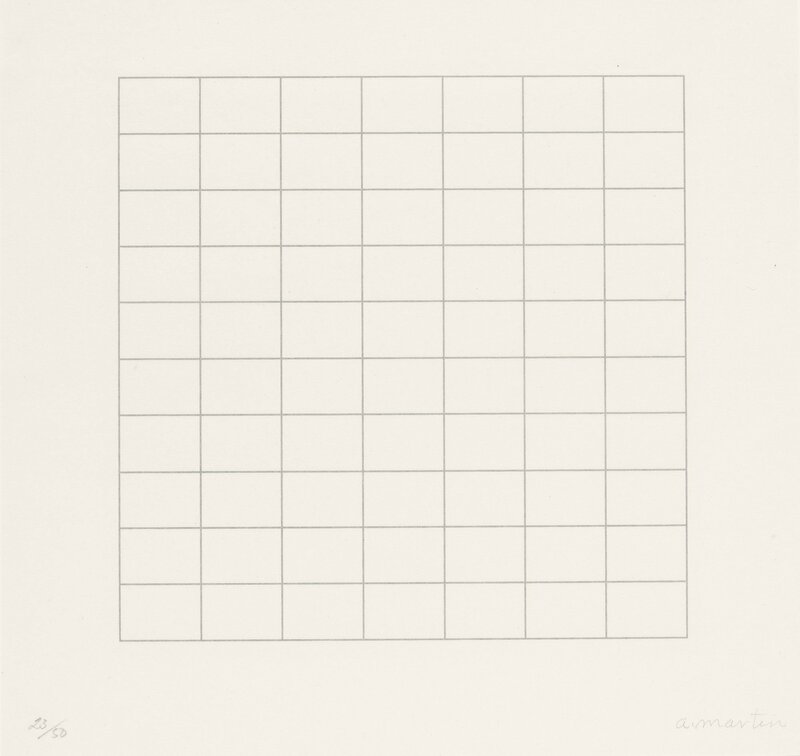 AGNES MARTIN: Untitled from the “On a Clear Day” portfolio (1973). Screenprint on Japanese rag paper. My interest is in experience that is wordless and silent, and in the fact that this experience can be expressed for me in art work which is also wordless and silent. Agnes Martin was born in Maklin, Saskatchewan, Canada, in 1912, and moved to the US in 1932, studying at universities in Oregon, California, New Mexico and New York. She painted still lifes and portraits until the early 1950s, when she developed an abstract biomorphic style influenced by Abstract Expressionism – though often, against her will, identified as Minimalist. The thing is that Martin fundamentally disagreed with the Minimalists’ impersonal attitude toward their work, she found the Minimalist approach impersonal and dispassionate; Martin recognized that while nothing in nature (artwork included) could be perfect, her work could evoke the feeling of “transcendental perfection” and exaltation. 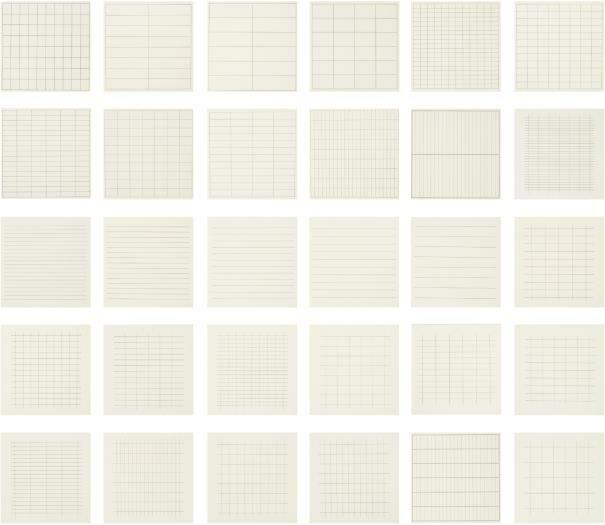 My formats are square, but the grids never are absolutely square; they are rectangles, a little bit off the square, making a sort of contradiction, a dissonance, though I didn’t set out to do it that way. When I cover the square surface with rectangles, it lightens the weight of the square, destroys its power. Agnes Martin both wrote and lectured about her own work, and even if she held her art to be beyond words, she found things to say. People say my work is like a landscape. But the truth is that it isn’t, because there are straight lines in my work [but] there are no straight lines in nature. My work is non-objective, like that of the abstract expressionists. But I want people, when they look at my paintings, to have the same feelings they experience when they look at landscape so I never protest… my response to nature is really a response to beauty. The water looks beautiful, the trees look beautiful, even the dust. Obviously Martin’s work made sense for her, the artist, but how & why does this art, which is so strongly founded in Martin’s mind, make sense for us? And that really is the question, the how, why, and sense.